For our 103 budget and economy hotels in Dubai, we show actual room availability. The emirate is located along the coastline of the Persian Gulf. This is a large business and commercial center of the Middle East, and a famous resort with international popularity. Here you will find everything for comfortable rest – modern hotels, trading centers, restaurants, aqua parks, museums and exhibition halls. Dubai has become a popular destination for conducting various cultural and sports exhibitions. Tourists are welcome to visit numerous performances, concerts and other entertaining activities. Dubai will simply amaze you with large number of greenery on its streets, parks and boulevards. There’s nothing better than having some rest in one of the Dubai’s picturesque parks in a hot day, listening to birds’ songs and swaying of grass. You may be particularly interested in parks that are well-equipped for sport activities. Besides water entertainments you will find here volleyball playing areas, and multiple playing rooms and attractions for children. If necessary, please contact our experts on budget hotels in Dubai via the telephone number below. 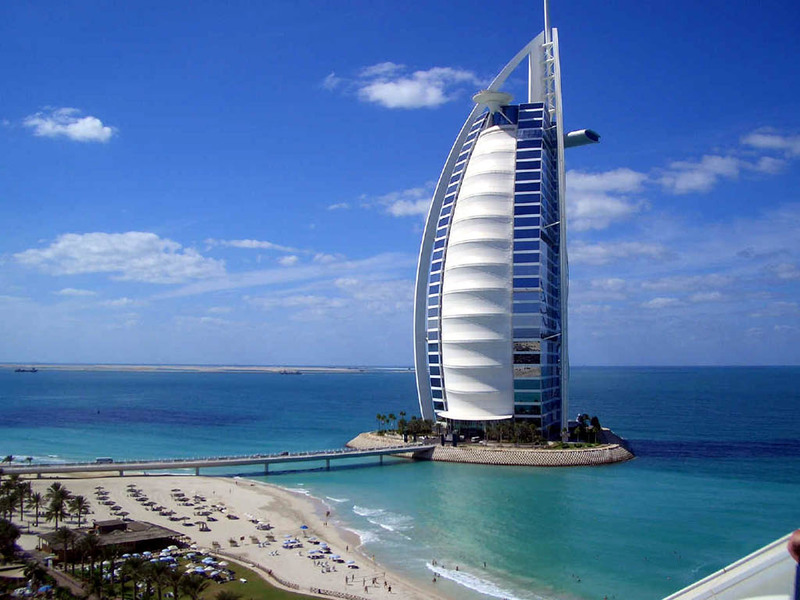 Our system provides 103 inexpensive and affordable B&B and hotels in/near Dubai, often with hot deals and last minute offers. Book online your budget hotel room in Dubai, United Arab Emirates - no prepayment, low prices and high discounts!